This incredible FULLCOLOUR book helps coaches improve their training sessions in the most important phases of the modern game - the transition phases. The best teams in recent years (Simeone's Atlético Madrid, Guardiola's Barcelona & Bayern, Klopp's Dortmund, Mourinho's Real Madrid & Ranieri's Leicester) have been successful largely due to their performance in the transition phases. 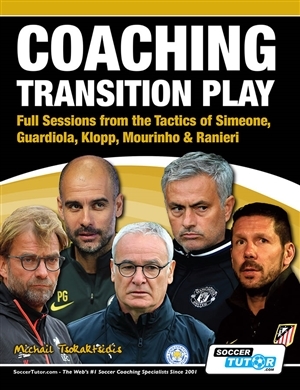 This book provides 32 transition game situations based on tactical analysis of Diego Simeone, Pep Guardiola, Jurgen Klopp, Jose Mourinho and Claudio Ranieri's tactics. 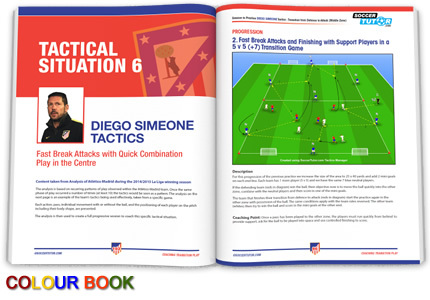 This book includes Simeone's Transition Tactics with Sessions on how to practice them. This book includes Guardiola's Transition Tactics with Sessions on how to practice them. This book includes Klopp's Transition Tactics with Sessions on how to practice them. 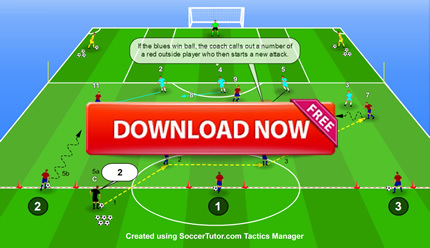 This book includes Mourinho's Transition Tactics with Sessions on how to practice them. This book includes Ranieri's Transition Tactics with Sessions on how to practice them. Another book that turned out to be a great choice. I recommend it to everyone! Helping your players to understand the need to transition is made easier by using these practices. I recommend purchasing the twin pack of book + ebook as you can have the book with you constantly. Well written, clear detailed plans with great explanations. Bardzo dobra ksi&#261;&#380;ka która wzbogaci nie jeden warsztat pracy, ciekawe &#347;rodki treningowe, cenne informacje fachowo opisane. Obowi&#261;zkowa literatura w bibliotece trenera.